We take a fiduciary oath; we are not a brokerage firm. This means we put your needs first. We're committed to providing objective, thoughtful, and independent advice at a fair and reasonable cost. We ensure accuracy, and are up to date on the latest news and research. In fact, as members of NAPFA, we are required to have 30 more hours of Continuing Education than our competition. Our investment services are fee only and we will always provide you with an upfront estimate for other services. JSK Financial was created with a vision of building long term relationships that are based on mutual respect, high quality service, and genuine concern for reaching our clients' goals. We know how hard it is to get new clients and we much prefer to keep the ones we have. We pride ourselves on picking up the phone, answering emails and taking the time to talk to our clients. We are open to phone calls and conversations about any concerns, not just investments. We've joined, partnered, and are certified with the best in the business so that we can provide comprehensive advice on all aspects of your financial plan. A highly exclusive organization, and the country's leading association of financial advisor professionals across the country choosing to work with clients on a fee only basis. 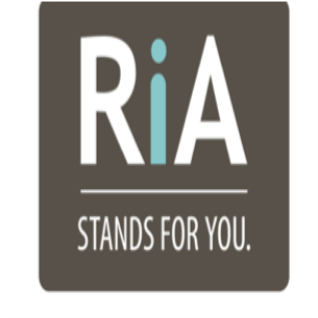 Registered Investment Advisors who do things differently, they have the freedom to serve you better.